Nintendo DS cards, namely R4 cards, became less popular during the Clone Wars (oh come on, we had to). This was during 2008/2009 when most rival manufacturers to the original R4 team were creating their own versions of the R4 card. This led to a lot of consumer confusion over what card they should actually be buying. Fortunately, many of these engineers then took the next step and began investing in new brands to legitimately compete with the R4 card. Rather than just copy the existing Nintendo DS cards' form and function, they looked to improve as well. And thus, some of the cards below were born! In approximate chronological order, we take you through some of the R4's rival cards and which were particularly strong. The M3 team were looking for new ways to innovate with hardware compared to the original R4 team. There were only so many ways you could do this given the design of a Nintendo DS cartridge, but the M3 team were the first to move to a side-loaded Micro-SD card slot. This is particularly interesting because it meant once the Micro-SD card was inserted into the M3 adapter itself, it was possible for the Micro-SD card to fall out during play or transport. What the M3 team shone at above all else, however, was their firmware. They focused on developing firmware for premium Nintendo DS cards that were efficient, robust and fast. In early-smartphone days, they could be described as the iOS to the R4 Team's Android - transitions between screens were silky smooth, it was extremely difficult to crash compared to the competition, and more features were able to be bundled into their bespoke product. A typical M3 card would be between 30% and 70% more expensive than the corresponding R4 card of the time. Despite this, they often sold out faster. When people bought Nintendo DS cards as gifts, they wanted it to be robust and firmly supported. The M3 team were also famous for constantly updating its software, so much so that sometimes not even one week goes by without an update. They were meticulous in their attention to detail and this won them a lot of fans. Later on in life, the M3i card was released after the Nintendo DSi hit shelves. 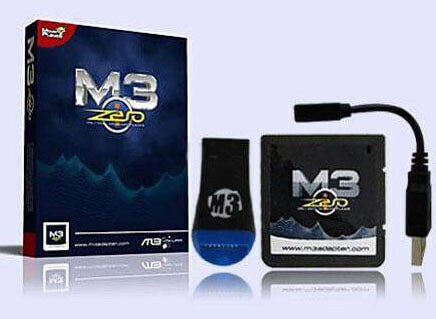 This was followed up by the next generation M3i Zero, which was their last card produced before the team disbanded. Interestingly, the M3 team never produced a card with "3DS" in the title, because the M3i Zero card also worked with Nintendo 3DS consoles via a firmware update. As a result, people who used to own one with a Nintendo DSi could also use theirs with an upgraded 3D console. Another team around almost as long as the M3 team were the Acekard team. The rival team would take a slightly different approach to taking the R4 card market. While they also focused on making sure their software was smooth, they did this with a very no-frills approach. As a result, while the M3 team were building additional features into their cards, the Acekard team would simply focus on making sure the basics on their product function extremely well. The Acekard then became known as a 'bare bones M3', because it was just as robust as the M3 but at a cheaper price with fewer advanced features. 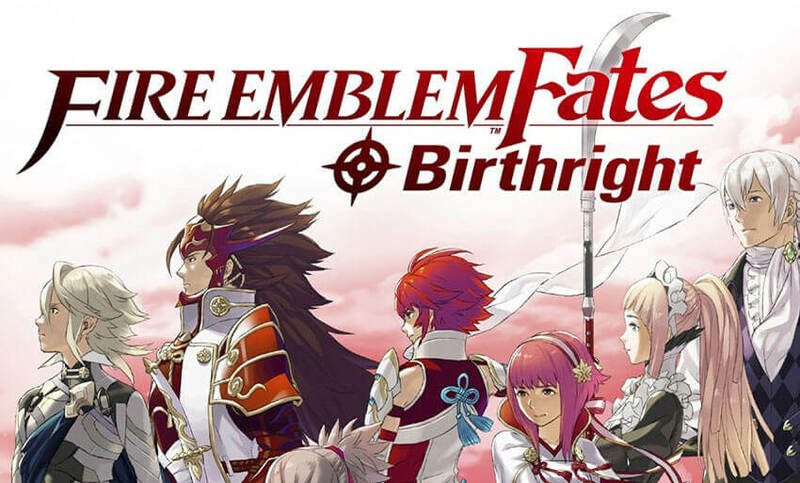 For most users who only use homebrew games and applications without much needed in the way of advanced functions, this was more than enough. Eventually (we suspect with the Acekard team's consent), a user group from the popular Acekard created a brand new operating system. This was designed with a few more features than the manufacturer's own, and the two were always swappable. The name of this second operating system was AKAIO (AceKard All In One) and was run by a support community. A lot of people who bought the Acekard 2 and Acekard 2i loved this as it means when an update was otherwise unavailable from the official team, the community would release one on AKAIO. 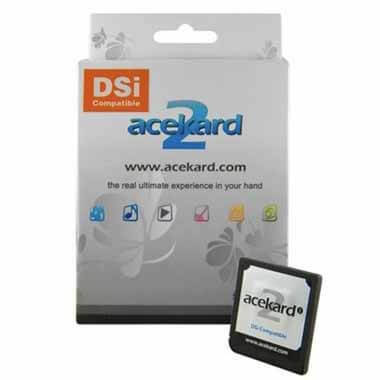 One note about the AceKard 2i - the team favoured the spring loaded design that the original R4 card ditched all the way back in 2008. Some liked this and some did not, but fortunately it didn't fail as often! The SuperCard DSTWO was a Nintendo DS card that only really came into prominence after the M3i Zero was launched and in full swing. Slowing down developer updates due to fewer new sales, the SuperCard team was formed to try and compete with the M3 team at a premium level, that no other card was really doing at the time. Everybody was still focused on price in the Nintendo DS cards space. What made the SuperCard DSTWO stand out in particular was its build quality. The way the plastic was joined together on the card was near impossible to break without cleaving the entire unit in two. It is held together with a tension screw and is extremely reliable, and can be taken to places where your console is likely to get shaken up a bit i.e. listening to music while doing sport. SuperCard Nintendo DS cards even brought back Game Boy Advance emulation support, which was awesome! 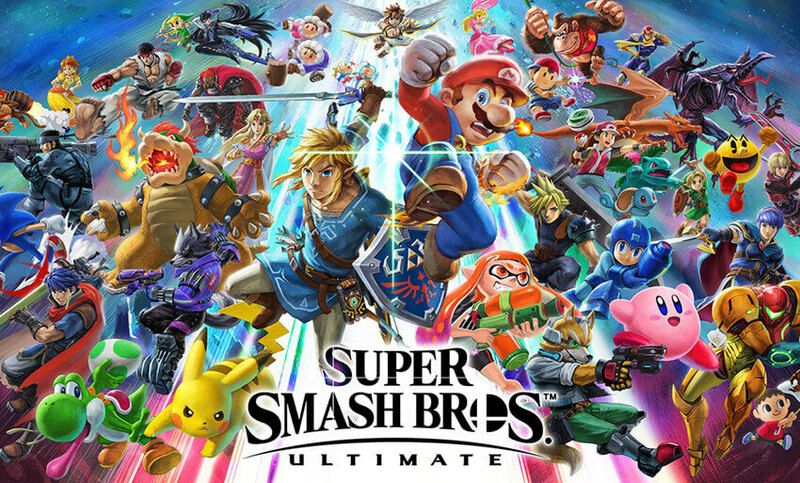 Not all games were supported but the team did their best to emulate games to be able to play on their firmware, through the Micro-SD card. Like the cards above, the SuperCard DSTWO was the flagship product all the way from the Nintendo DSi through to the Nintendo 3DS. 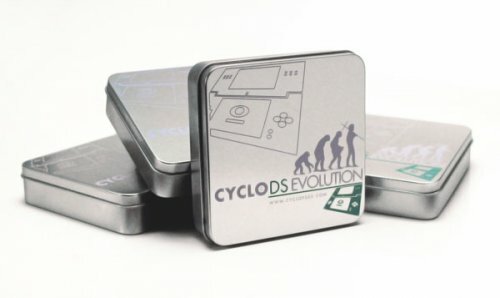 Cyclops were a team of Nintendo DS card developers who were around earlier than their most famous product. They created the original Cyclo DS card at a similar time to the cards above, but enjoyed less success. Their overseas marketing coupled with a delay in translating key components of their firmware into English meant that it took a while for any sort of following to build. However, they created really robust Nintendo DS cards when the DSi came out, and compatibility for this card also stretched into Nintendo 3DS territory. Cyclo DS iEvolution Nintendo DS cards were very unique in their metallic case, and were instantly recognisable. This was more of a 'niche' card and did not enjoy as much success as the other R4 alternatives above, with the R4 3DS ultimately still dominating the cheaper market and Cyclo unable to fully make inroads in a premium market where the M3i Zero and Supercard DSTWO Nintendo DS cards were doing very well. The EDGE DS card was admittedly one of the more short-lived Nintendo DS cards. The distinctive triangular packaging first appeared for sale in 2008 but the team had stopped producing them by 2009. 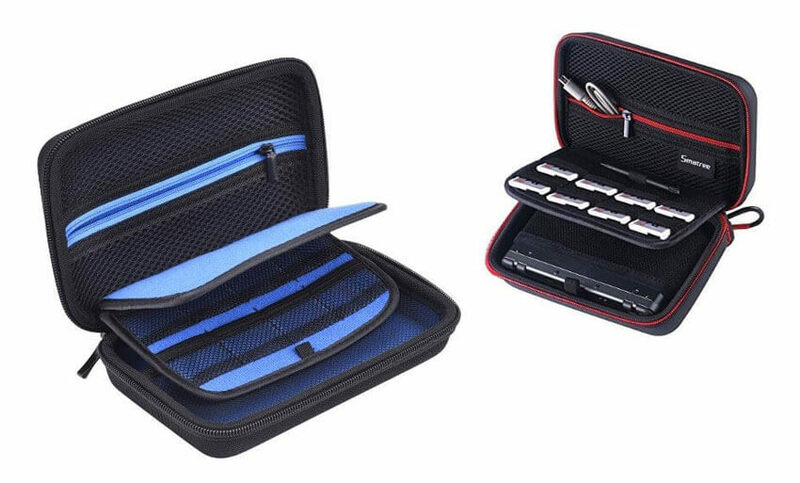 This was because their updated product for the DSi, the iEDGE, was becoming available. There was a three month gap between the first product stopping and the second starting, though. This led to a lot of speculation about whether the team were still together. As a result, while the iEDGE was a robust card similar in many ways to the M3i Zero, its popularity never really took off. It was probably the least successful of the "Premium" cards here, where the teams put extra effort into making the firmware superior to the R4 / R4i's. The EDGE and iEDGE Nintendo DS cards were statistically the most robust / best made cards on the market. 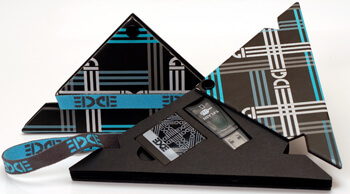 While the difference is minimal to the eyes of a gamer, shops reported that EDGE / iEDGE cards basically never broke. They had close to a 100% success rate during testing. Even the premium M3i Zero failed more often, and that's quite a boast! EZFlash were a team that sat 'in the middle' of the R4 team and the other products. They focused mainly on keeping the cost of production down so that shop prices can be slightly lower. It carries some of the features that more expensive cards would have, but mainly just focus on the ability to Real Time Save (i.e. load a game from any point, not just a checkpoint) and Soft Reset (retaining your in-game memory while resetting your device). 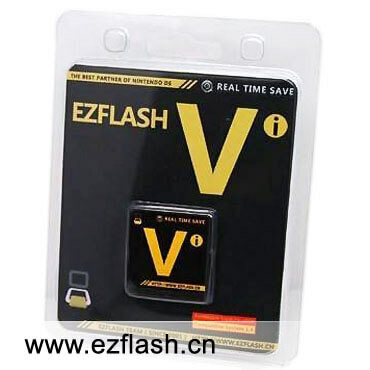 the EZFlash Vi card ran into some compatibility problems after the release of the Nintendo 3DS console, and the card was discontinued shortly afterwards. This was arguably the only mass-market card that went toe to toe with the R4 card in terms of pricing. 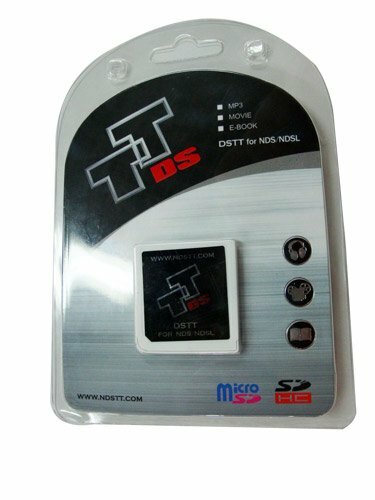 The DSTT Nintendo DS card may well be the most popular card after the R4. This was purely down to how cheap this Nintendo DS card was. The software was extremely bare-bones to the point where it was little more than a menu of the files on your Micro-SD card. You select your file (be that a game, application or otherwise) and off you go, no extra menu options. As a result though, it was extremely fast to load and never crashed - but you really got none of the more advanced options. Sometimes the DSTT and its subsequent DSTTi card would even be cheaper than the equivalent R4. The DSTT really became known as an entry level product. Sadly, the exterior construction denied the DSTT an even greater market presence. A lot of cards physically fell apart and the back cover in particular was notorious for breaking after about six months of use. However, it was about a quarter of the price of premium cards like the M3i Zero and Supercard DSTWO. It was often a steal and people would sometimes be happy to buy multiple DSTTi's rather than one more expensive card. 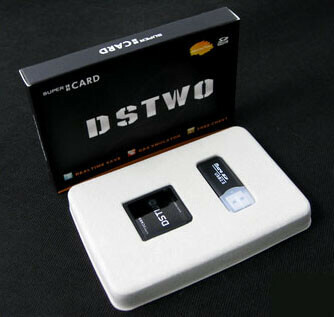 The DSTTi card was one card that did not ever gain compatibility with Nintendo 3DS consoles. For R4 branded cards and their evolution, check out our page on R4 and related cards and their history on Nintendo DS devices.